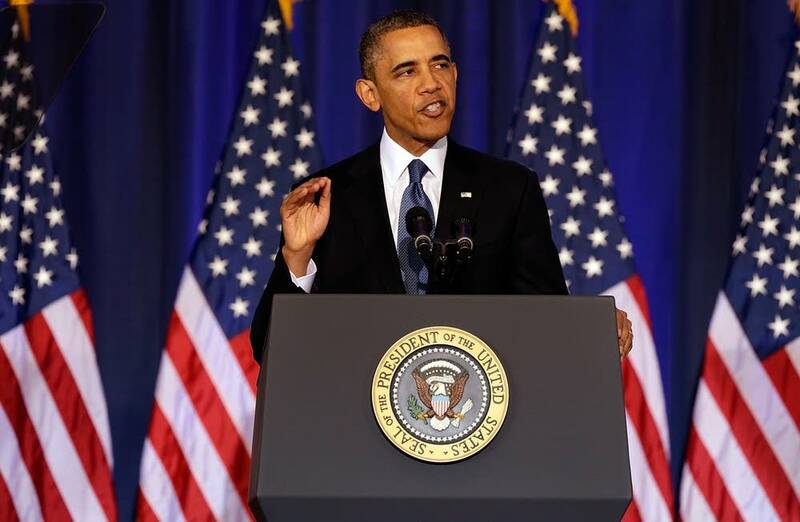 WASHINGTON (AP) — President Barack Obama on Thursday defended America's controversial drone attacks as legal, effective and a necessary linchpin in an evolving U.S. counterterrorism policy. But he acknowledged the targeted strikes are no "cure-all" and said he is haunted by the civilians unintentionally killed. The president also announced a renewed push to close the Guantanamo Bay detention center in Cuba, including lifting a moratorium on prisoner transfers to Yemen. However, shutting the prison will still require help from Republicans reluctant to back Obama's call to move some detainees to U.S. prisons and try them in civilian courts. "Neither I, nor any president, can promise the total defeat of terror," Obama said in remarks at the National Defense University. "What we can do -- what we must do -- is dismantle networks that pose a direct danger, and make it less likely for new groups to gain a foothold, all while maintaining the freedoms and ideals that we defend." Since taking office, Obama's counterterrorism strategy has increasingly relied on the use of strikes by unmanned spy drones, particularly in Pakistan and Yemen. The highly secretive program has faced criticism from congressional lawmakers who have questioned its scope and legality. The president, in his most expansive public discussion on drones, defended their targeted killings as both effective and legal. He acknowledged the civilian deaths that sometimes result -- a consequence that has angered many of the countries where the U.S. seeks to combat extremism -- and said he grapples with that trade-off. "For me, and those in my chain of command, these deaths will haunt us as long as we live," he said. Before any strike, he said, "there must be near-certainty that no civilians will be killed or injured -- the highest standard we can set." Ahead of the address, Obama signed new "presidential policy guidelines" aimed at illustrating more clearly to Congress and the public the standards the U.S. applies before carrying out drone attacks. Officials said the guidelines include not using strikes when the targeted people can be captured, either by the U.S. or a foreign government, relying on drones only when the target poses an "imminent" threat and establishing a preference for giving the military control of the drone program. 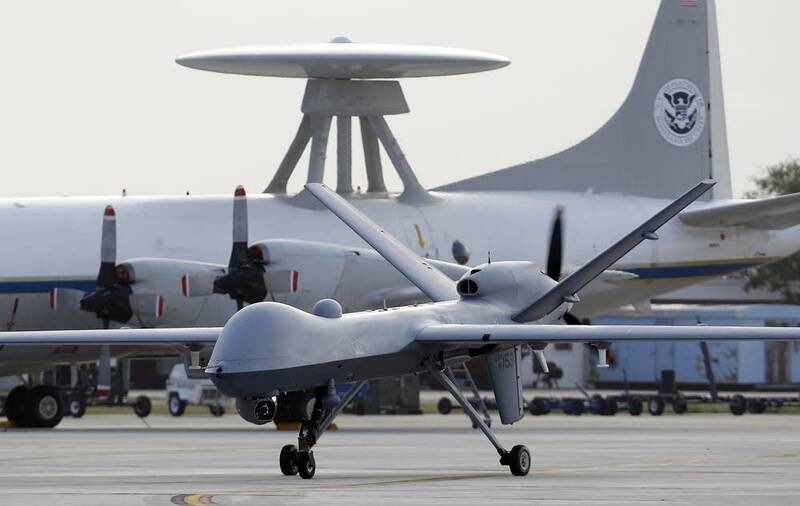 However, the CIA is still expected to maintain control of the drone program in Yemen, as well as in Pakistan's tribal areas, given the concern that al-Qaida may return in greater numbers as U.S. troops draw down in Afghanistan. The military and the CIA currently work side by side in Yemen, with the CIA flying its drones over the northern region out of a covert base in Saudi Arabia, and the military flying its unmanned aerial vehicles from Djibouti. In Pakistan alone, up to 3,336 people have been killed by the unmanned aircraft since 2003, according to the New America Foundation which maintains a database of the strikes. Obama's advisers said the new guidelines will effectively limit the number of drone strikes in terror zones and pointed to a future decline of attacks against extremists in Afghanistan as the war there winds down next year. But strikes elsewhere will continue. The guidelines will also apply to strikes against both foreigners and U.S. citizens abroad. On the eve of the president's speech, the administration revealed for the first time that a fourth American citizen had been killed in secretive drone strikes abroad. The killings of three other Americans in counterterror operations since 2009 were widely known before a letter from Attorney General Eric Holder to Senate Judiciary Committee Chairman Patrick Leahy acknowledged the four deaths. In that letter, Holder said only one of the U.S. citizens killed in counterterror operations beyond war zones -- Anwar al-Awlaki, who had ties to at least three attacks planned or carried out on U.S. soil -- was specifically targeted by American forces. He said the other three Americans were not targeted in the U.S. strikes.